A big thank you to everyone who participated in our contest and helped made it a success ! 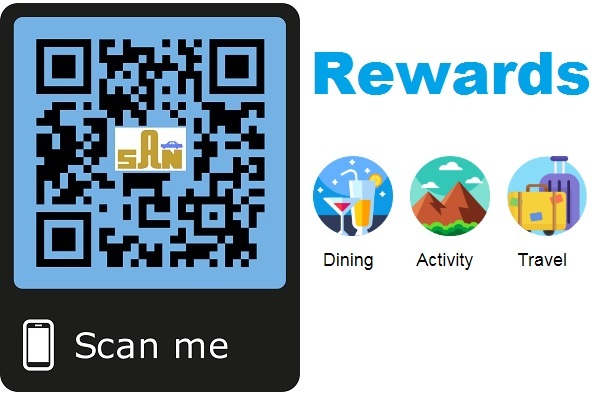 And a special congratulations to Ms Marie-Benedicte Allard, the winner of the 'Win a S$200 TravelHotelz.com Voucher when you sign up as a Sans Rewards Member' Lucky Draw. 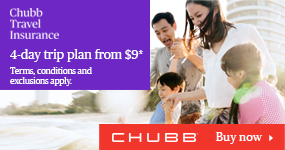 Sign up as a Sans Rewards Member today so that you will be eligible to participate in future Lucky Draws and special events reserved exclusively for members. Whether you are arranging a bus or coach for a local transfer or sight-seeing city tour in Singapore – our team is readily available for your call for service. 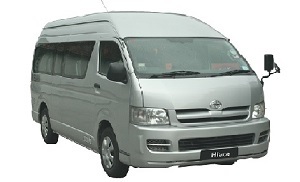 Our fleet of vehicle ranges from 44 seater deluxe coaches, 19 seater small bus and 13 seater mini vans. San’s Tours & Car Rentals is one of the leaders in Singapore’s transportation industry. We have a fleet of well maintained vans for all occasions hire. Our vans are fully air conditioned, with forward facing seats and have wide windows which allow a clear view of the scenery. San’s Tours & Car Rentals is one of the leaders in Singapore’s transportation industry. 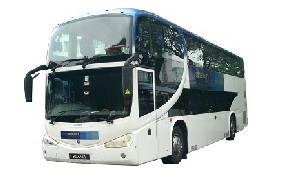 We have a fleet of well maintained deluxe small coaches for all occasions hire in Singapore. Our coaches are fully air conditioned and have wide windows which allow a clear view of the scenery. San’s Tours & Car Rentals is one of the leaders in Singapore’s transportation industry. We have a big fleet of well maintained luxurious large coaches for all occasions hire. Our coaches are fully air conditioned and have wide windows which allow a clear view of the scenery.